Can You Reheat Sausages? | Can You Reheat? Q: I love sausage but I always wind up cooking more than the stomachs at my gatherings can manage. My family’s recipe is so good that I cannot imagine throwing away the leftovers. Can you reheat sausages without risking illness? Can sausages be reheated in more than one way? Can you reheat cooked sausages regardless of the type of meat used? Before we answer your question, let’s clarify what constitutes a sausage. 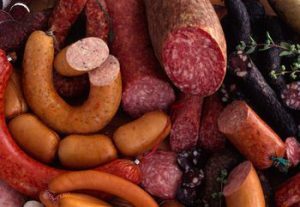 While all sausage is meat, usually ground up, that is placed inside of a casing; sausage comes in more varieties than just pork, including veal and beef. Because sausages exist in almost any meat you can think of, it makes sense why people worry over food-borne illnesses. Sausage patties are usually slices of a large-diameter sausage or discs made from a case-less sausage mixture. A: Can sausages be reheated? Yes! Is there only one approach to reheating them? No! While there is an entire world of sausages in the world, there are a decent number of methods used to reheat this delicious meat cylinder. Fortunately, most of the bacterial worries from reheating sausage go out the window the moment the sausage was originally cooked to completion. This is the easiest and least work-intensive means of reheating sausage. This can be especially useful in issues where you’re reheating the contents of an entire meal, such as a breakfast platter. One benefit of reheating sausage is that you deal with far less grease than you encounter when you first cook it. Just put your sausages into the microwave with a little bit of water or some other liquid on the plate, set the machine’s power level to “low” and run it for 30 seconds. Check on the sausages’ warmth and repeat this process until all of your sausages have reached an even temperature. Can you reheat cooked sausages with just hot water? Yes, but there is one condition to this approach. While steaming cooked sausages in an effort to reheat them is only slightly more labor-intensive than using a microwave, there may be times, such as when you go camping, when you may have limited access to a powered microwave. To steam some warmth into your sausages, boil some water in a pan or other vessel. Once the water has started to boil, remove the pan from your heat source and add the sausage. Once you’ve unloaded your sausage, or deposited a sufficient amount to fill most of the pan, cover the pan; ideally with a lid you can see through. Keep the pan covered for somewhere between 10 and 15 minutes-you want the sausages fully cooked but not to the point that they split out of their casings, this is also the reason why you should never plunge sausages into a vigorous boil. Fill a pot with water and bring the water to a simmer, not to boiling. Place your cold sausages inside of a vacuum-seal plastic bag. Once you are sure that the bag is fully sealed, with no opportunity for the simmering water to slip inside, place the bag of sausages into the pot and leave it in for 5 minutes. The difference in temperature will humidify the sausages contained within, leaving them both tender and edible. Preheat your oven to 350°F. While the oven is warming up, arrange your sausages on a non-stick baking sheet. Feel free to line the sheet with aluminum foil before adding the payload of sausage if you’re worried about juices or a mess. After your oven reaches 350°F, place the sheet of sausages inside and check on them after 10 minutes. If you’re unsatisfied with the heat, leave them in for another 5 minutes. Remove your fully reheated sausages from the oven and allow them to cool for at least 1 minute. Another benefit of the foil sheet is you can ball it up once it cools to the point you can handle it with your hands. You can then throw it away or use it to wrap up any of your leftover leftovers. Sausage is as much a food as it is an ingredient, giving people many opportunities to experiment with it in their cooking. Regardless of the kind of sausage you are handling, you can use any method to reheat it that you would to cook it without worrying over illnesses. “Method #2a: Steaming Them” is NOT “steaming” them. From that method’s description their is no steam involved. The sausages are *immersed* in hot water. Further, the mechanical difference between “Method #2a: Steaming Them” and “Method #2b: Pseudo-Sous-Vide” is immersion directly in water vs in a bag, yet the time is drastically different. Why not try “Method #2a: Steaming Them” with simmering water and do it in 5 minutes? Finally “Method #2b: Pseudo-Sous-Vide” says ‘The difference in temperature will humidify the sausages’. I believe you need water to humidify something (which is already above freezing). So the explanation is rubbish. I think heating the sausages melts the fat, and that restores the succulence to the sausages.